View More In Plates - Page 4. The Corelle Winter Frost White 20-Ounce Bowl Set includes six 20-ounce bowls and is perfect for serving salad or pasta to family and guests. Each bowl features a fundamental, basic style that’s perfect in its simplicity and pure in form. These bowls are made with Corelle triple-layer strong glass, which is lightweight, stackable, and resistant to chips and breaks. Each piece is dishwasher safe and can be used in an oven or microwave. Corelle glass is made in the USA, and comes with a three-year limited warranty against manufacturer defect. 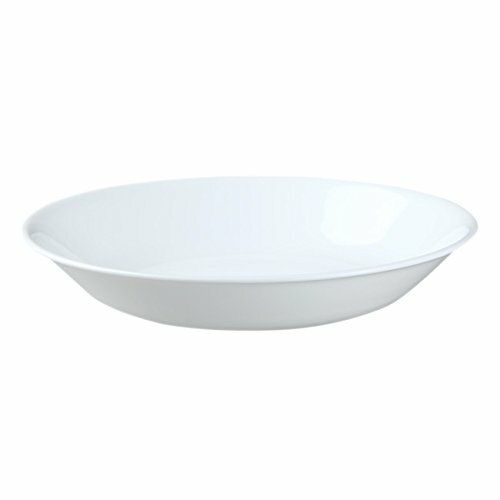 Corelle Winter Frost White 20-Ounce Bowl Set includes six 20-ounce bowls. Features a fundamental, basic style that's perfect in its simplicity and pure in form.